Medium, 4 oz. tin measures 3" diameter, 1" high. 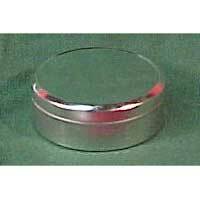 Tag: ROUND TIN, 4 oz.